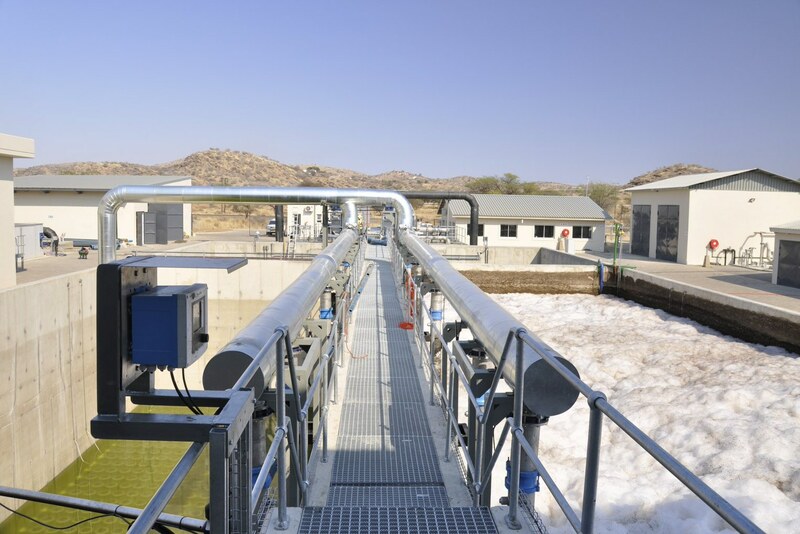 The City of Windhoek decided to replace the existing waste water treatment plant north of Windhoek with a high technology Membrane Bioreactor (MBR) Plant – this first of its kind in Namibia. The new plant was designed, built, is owned and operated by a Special Purpose Company (SPC). The SPC appointed a consortium of WABAG Vienna, Austria and Veolia Water Solutions & Technologies, South Africa, for the construction of the new plant. WABAG in turn appointed LCE as local consultants to assist with the adaptation of the design and procurement dossiers to local standards and for the construction supervision, contract management and detailed quality control and quality assurance.